A decision is imminent in New York’s historic stop-and-frisk case, tried for two months in a Manhattan federal courtroom. The judge will either permit present practices to continue, or order reform. Perhaps most controversial, if she decides that there is a systemic pattern or unconstitutional conduct, she has the power to put in place a monitor to oversee the New York Police Department, a prospect endorsed by the Obama administration, but decidedly opposed by the city defendants. From the start of Floyd v. City of New York, the mayor’s office has attempted to discredit the assigned judge, Shira Scheindlin, claiming that she regularly rules against the police, since she has decided against them in other stop-and-frisk cases. The city has prepared—and the tabloids have embraced—a report on her that ignores the search-based cases she has decided in favor of the police. This will not intimidate Judge Scheindlin, although it sets the groundwork for appeal if the plaintiffs prevail. But what if, instead of accusing Scheindlin of bias, New York’s mayor, his counsel and the local tabloids recognize that along with her experience, judicial demeanor and insistent knowledge of the constitution, she brings a valuable quality to the bench: the ability and willingness to feel what others are feeling—in a word: empathy? 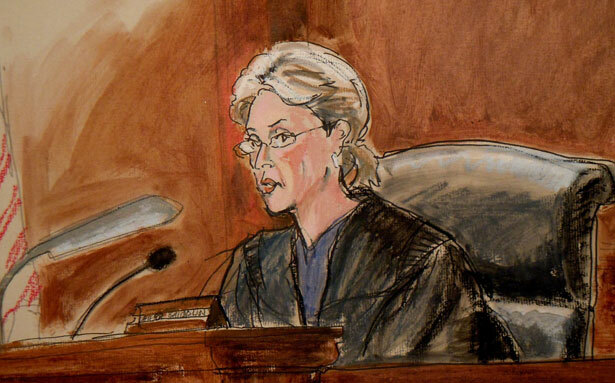 The Bloomberg administration never wanted Judge Scheindlin to preside over Floyd. In its view, her history of finding that certain NYPD street practices violated the rights of individuals—usually young black or Latino men—means she can only be biased and that this bias will lead her to rule against the police. But Scheindlin will never abandon the Constitution, even as she views the evidence in a way that leads her to do what she considers “the right thing.” As she has said, she wants to be creative in applying the law. Empathy is truly, “I feel your pain.” A lack of it—in psychiatry, often taken as the mark of a sociopath—means an unwillingness or inability to hear and understand the perspective, experience and emotions of others. In a courtroom, the implications are significant: empathy allows a judge a better understanding not just of a single litigant but of any given player in a case. Politics, ambition or character may prevent a judge from being empathetic. But whatever a judge’s personal story, empathy can be the difference between doing justice and just going through the motions. Some judges resist their own better instincts, and others would rather not be bothered with the social problems that fill our courts, the cases that beg for empathy. They may prefer to hear strictly commercial matters because corporations, after all, are not people. They may be the judges who admit that they refuse to look right at criminal defendants standing before them, and who, in their own way, are just as afraid of the defendant as the defendant is of the judge. Judges are human beings with histories, experiences, philosophies, points of view. But judicial empathy does not require shared experience with the other. Of course a Latino judge who grew up in the Bronx might well be sensitized to, say, stop-and-frisk actions he’s witnessed, or maybe even experienced, but history does not guarantee empathy or judicial outcomes. When a 13-year-old girl was strip-searched by Arizona school officials looking for prescription Tylenol in her underwear, Supreme Court Justice Ruth Bader Ginsberg said her male colleagues missed the point of how that child felt, because, “They have never been a 13-year old girl.” But consider Justice Clarence Thomas, whose every opinion goes against individuals with early histories similar to his own. Yet empathy allows a middle-aged, white Jewish woman to feel the excruciating pain of a black high school kid thrown against a wall or sidewalk, handcuffed, while police put their hands on him because one officer said he saw a bulge in a pair of jeans. Stop-and-frisk is defended as a kind of gun control, but only a negligible fraction—0.15 percent—of stops by the NYPD have yielded a weapon. In 60 percent of the incidents, there was nothing to form the basis of an arrest. Where arrests have been made they most often involve marijuana. Either there are an awful lot of mistakes made, or, as plaintiffs in the Floyd trial argued, it’s all about walking down the street while black. Despite its detractors and deniers, it’s not empathy versus law. It’s both. It’s a comprehensive understanding, without bias, of the facts, the perceptions of the various parties. The idea that judges should be umpires, just follow The Law, incorrectly assumes that there is only one law and that it can just be rubber-stamped without interpretation. If that were so, all judges could just go home, and have computers fed the facts (as interpreted by some human) and spit out The Law. Anyway, a judge cannot just do whatever she feels like doing, even if she believes it is the just thing to do. In the end, a ruling relies on evidence—testimony, statistics, expert analysis—and on existing law, set out in precedent. None of these can be ignored, though they are subject to interpretation. Empathy does play a greater role where a judge may have some discretion, in sentencing for example, and often in family law. Yet, even then, one’s empathetic understanding may not trump other factors. I once had to decide whether a woman could move to a distant country with her three kids, leaving the father in New York. Throughout the non-jury trial I could appreciate the wife’s feelings that the man was a rotten husband and only a passable father. I saw through her why it would be good for her to get away, start life anew, have more opportunities. It was what I would have wanted to do in her place. But then the gold standard—the best interest of the children—kicked in and, despite my understanding of her, even my personal opinion, there was no evidence that it was in the best interest of her kids to be cut off from their father and their culture. Empathy placed me in the shoes of each of the family members. It can also lead to surprising, counterintuitive results. When a respected Brooklyn judge—who was often criticized by NYPD Commissioner Raymond Kelly—had considerable discretion in the sentencing of a police officer whose criminal conduct was odious, a tough sentence seemed inevitable. The only question was how much time the rogue cop would get. But then he made an emotional plea, explaining that going to prison for years would destroy his child, a common argument at sentencing hearings. When the judge ruled, he gave the defendant probation, admitting that he had arrived in court that morning intending to send the man to prison, but that his mind was changed after hearing his statement. The defendant’s fear that his child would be lost, resonated with the judge whose only child had recently died. No one knows how Judge Scheindlin will rule in the stop-and-frisk case. But there is no doubt that she has scrupulously studied the trial transcript and testimony, every piece of evidence, and Fourth Amendment search-and-seizure cases. She has evaluated the legal briefs and arguments and analyzed whether police actions comport with the Constitution, the law and whether the actions implicated racial patterns. She will confront the significance of statistics and give thought to the inevitable appeals. And finally, she will consider the impact on the plaintiffs who were subject to the conduct which is being questioned, what it all felt like to them, how it affected them and what it means for their future and for those who will be subject to similar experiences if it is allowed to continue, including the crushing humiliation of a walk home from school turning into a scene from Law & Order. Some call that bias. But in fact it is justice, seen through the gift of empathy.